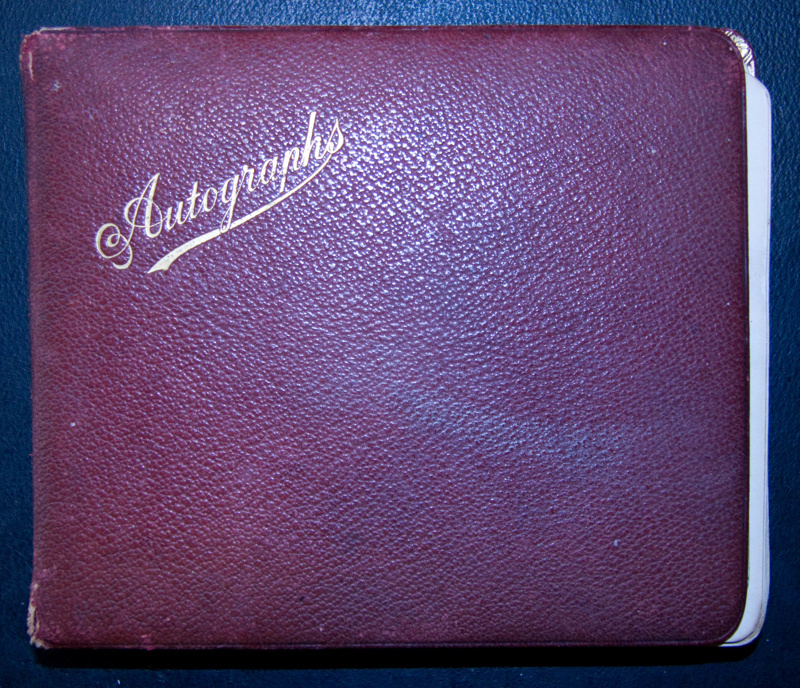 Autograph book; a leather bound burgundy coloured book with 'Autographs' embossed in gold on the front. Inside the front cover is signed 'M R Govett' [Monica Romaine Govett]. 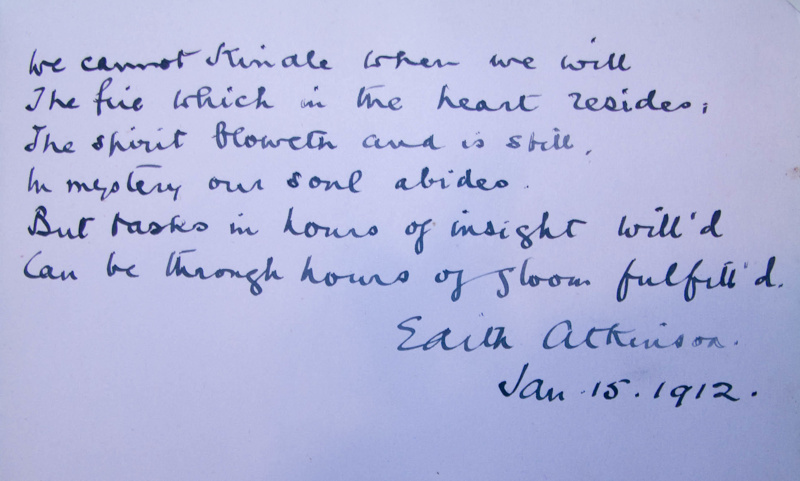 The book has a number of pages completed by hand, including photographs, signatures and sketches. 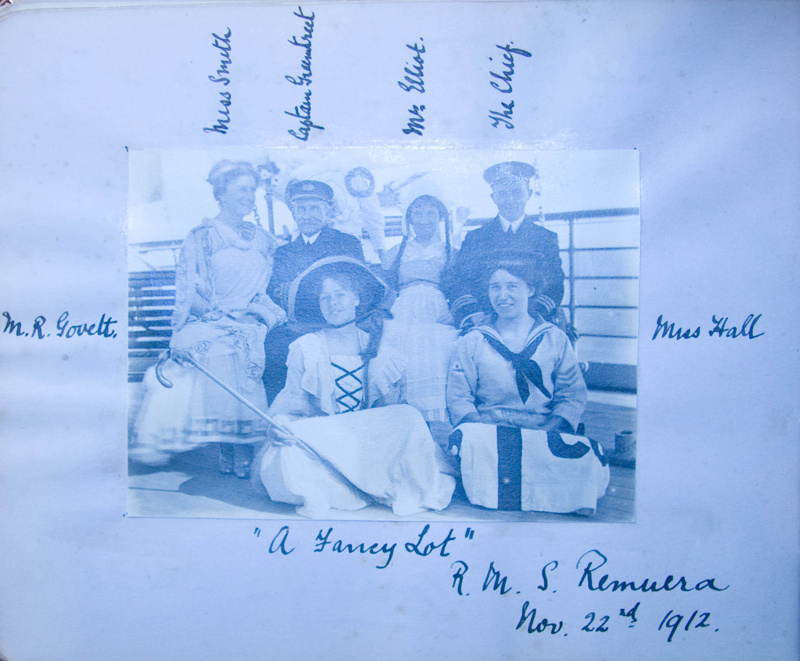 The book appears to date to two European visits made by Monica Govett in 1911-1913, aboard the SS Moldavia and the SS Remuera. Mentioned are visits to Grasse on the French Riveria, and a visit to Atkinson family members at Coniston in the Lake District. 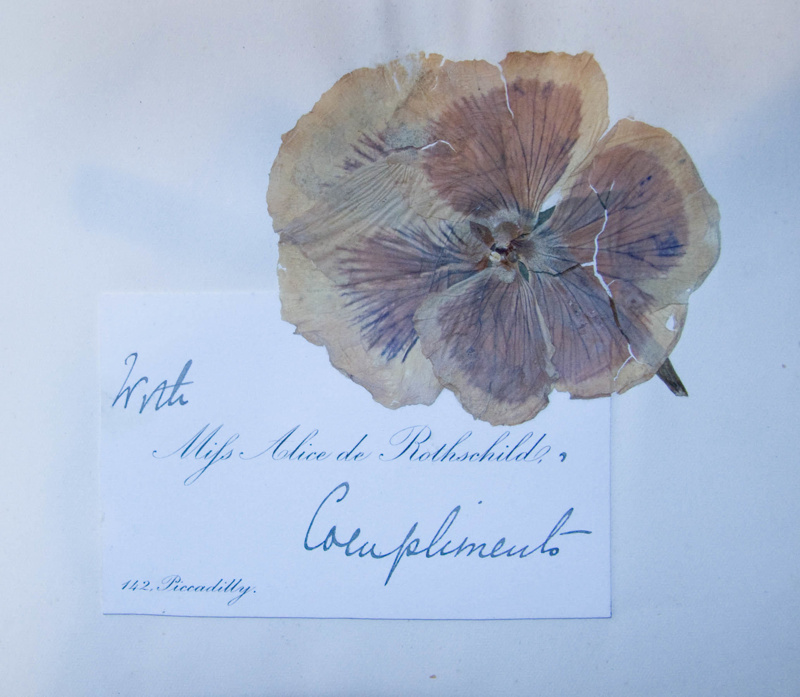 Included is the signed card of Alice de Rothschild, with a pressed pansy. Monica Brewster, née Govett, was the daughter of Harry Atkinson’s only daughter Frances. Like many members of the family she retained a keen interest in art, and was to found the Govett-Brewster Art Gallery. On her death she bequeathed many family items to Hurworth Cottage, including a number of books from her grandfather’s library.